Did I ever mention that we live in the rainbow capital of the world? Well, we do. 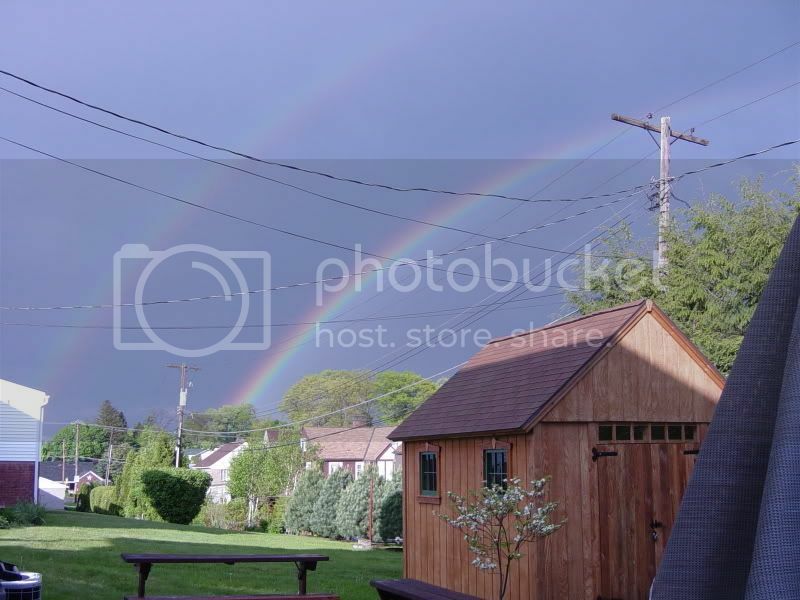 More times than not, when it rains and the sun is shining, you can catch a pretty nice rainbow or two in the back yard. Before we moved here, I had only seen a few rainbows in my life. Now, I get to see a few rainbows a year. This evening was no exception to the rule. It was raining and the sun was shining, so I thought to look out the window. There it was--a double rainbow (we get those occasionally). This rainbow was particularly nice, so I tried taking a few pics of it. Here is the best one of the lot.